Blonder Tongue provides system operators & integrators serving the cable, broadcast, satellite, IPTV, institutional & professional video markets with comprehensive solutions for the provision of content contribution, distribution and video delivery to homes and businesses. With 60 years of experience, the company designs, manufactures, sells and supports an equipment portfolio of standard and high definition digital video solutions, as well as core analog video and high speed data solutions for distribution over coax, fiber & IP networks. 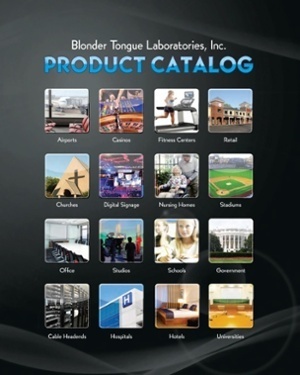 Contact your local Accu-Tech representative to learn more about Blonder Tongue's solutions.